Today FCC began a new procedure on a trial basis to make drafts of pending agenda items available for public review prior to adoption by FCC. The procedure so far does not give any mechanism for telling FCC what you think about these drafts. However, it is assumed that all the key trade associations and major communications law firms have the cell phones numbers of key 8th Floor staffers on speed dial so they will just call up their friends. Small businesses, consumer groups, and those without a prominent FCBA member as they regulatory representative will be disadvantaged. Is this what Pres. Trump meant by "cleaning up the swamp"? Giving major players more access to the disadvantage of others? Now this can be resolved simply by specifying a vaguely transparent mechanism for giving feedback on these drafts, whether it is ECFS or a more informal system. Should there be some "paper trail" of what the feedback was or who gave feedback? So since NAB raised it, why doesn't the NPRM deal with the Section 7 issue? Another issue with the present draft is its exclusive focus on the positive aspects of the NAB petition. Unfortunately a transition to ATSC 3.0, like many other spectrum policy transitions, has a transitional period that has some pain for those involved. In the DTV transition this was minimized by giving each broadcast a 2nd channel so they could simulcast on the 2 incompatible technologies. There were originally 82 TV channels. At the time of the DTV transition there were 67. Now there are 49 and it is simply impossible to have full parallel simulcasting in 2 different standards now. So the petitioners and the draft NPRM ask for the requirement that those broadcasters voluntarily turning off their ASTC 1.0 signal to use ATSC 3.0 must maintain coverage by arranging for continuing ATSC 1.0 coverage in their service area on the multiplex streams of a remaining ATSC 1.0 broadcaster. This is feasible because an ATSC 1.0 system broadcasts a 19 Mbps digital stream that can be divided up several ways. Thus if you have a DTV receiver and a physical antenna you may notice channels like 4-1, 4-2, and 4-3. (I have one on my sailboat!) These are 3 different video signals multiplexed together to the same 6 MHz TV channel. (In this case the TV is apparently tuned to "channel 4", but likely a different physical channel number that the TV set learned during initial setup is the physical frequency used for the signal.) Channel 4-1 is the main signal of the TV broadcasters, so in DC and many other cities it is the NBC affiliate. The other 2 are video streams of lesser technical quality, often old analog programming, that the broadcaster makes a little extra money out of. In some cases the other sub channels have novel programming of local interest. "If the simulcast content will not be identical to the originating station’s primary video programming stream, we ask commenters to explain the reasons for any deviations in content and/or format (HD) versus SD) and the impact of such deviations on television viewers and the regulatory implications." But the text of the NPRM draft does not discuss what this means. The technical quality of a DTV signal on a consumer's TV set depends greatly on how many bits/s are provided for that signal. By packing multiple network TV signals on a single 19 Mbps ATSC 1.0 signal it is very possible that the bit rate of a given network signal will decline from present practice and hence the signal quality will also decline. For some types of programming this may not be apparent, e.g. talk shows like "Meet the Press". But for more action programming, e.g. James Bond films and football, the degradation will be apparent. This is not discussed at all. If the remaining ATSC 1.0 stations during the transition previously had multiple subchannels and the channel's moving ATSC 3.0 also had subchannels, will many of those sub channels and their diversity disappear during the transition? Presumably this is part of the question in para. 11, but it isn't clear. Now depending if you want to believe NAB or not, 80-90% of US households do not have a physical TV antenna and get video programming from MVPDs. This large fraction of US households will see little or no impact from the NPRM. However, NAB claims this MVPD market share is decreasing and is even giving away free antennas to expedite that decrease. The draft doesn't discuss this bifurcation of US households and the varying impact on them. The Petitioners assert, however, that the Commission should not mandate Next Gen TV tuners in television receivers at this time,but should instead allow the marketplace to dictate the availability of television receivers with a Next Gen TV tuner. But it does ask questions about a possible consumer receiver mandate under the provisions of the 1962 All Channel Receiver Act. Nowhere in this discussion is there any viewpoint other than "manifest destiny" for new broadcast technology. For example there is no mention of the market place failures for previous NAB boosted technology such as AM stereo or HDRadio. Indeed the market failure of AM stereo was not only in the US, but worldwide under a variety of regulatory policies! In today's fast changing world of digital electronics do such mandates make any sense? This is an issue not in the present draft. We support the basic idea of this NPRM, but take advantage of this opportunity to urge the Commission to consider the above issues in drafting the final version. We also urge it to clarify how they want to receive feedback on such drafts. This document has been circulated for tentative consideration by the Commission at its April open meeting. The issues referenced in this document and the Commission’s ultimate resolution of those issues remain under consideration and subject to change. This document does not constitute any official action by the Commission. However, the Chairman has determined that, in the interest of promoting the public’s ability to understand the nature and scope of issues under consideration by the Commission, the public interest would be served by making this document publicly available. The FCC’s ex parte rules apply and presentations are subject to “permit-but-disclose” ex parte rules. See, e.g., 47 C.F.R. §§ 1.1206, 1.1200(a). Participants in this proceeding should familiarize themselves with the Commission’s ex parte rules. This certainly clarifies what the procedures are. Oddly, draft items are only released in .txt and .pdf formats while adopted items are relate in both of these as well as .doc format. it is puzzling why final documents have 3 formats and draft only have two. MS Word comes with a free document comparison tool which could be used to see what changes are made in a draft before adoption and compare them with ex parte filings. This can be done with .pdf version, but requires finding the right software tool. Are 5G Spectrum Deliberations at the Expense of All Other New Technology? We will be repeating the proven formula that made the United States the world leader in 4G: one, make spectrum available quickly and in sufficient amounts; two, give great flexibility to companies that can use the spectrum in expansive ways; and three, stay out of the way of technological development. We will also balance the needs of various different types of uses in these bands through effective sharing mechanisms; take steps to promote competitive access to this spectrum; and encourage the development of secure networks and technologies from the beginning. These statements are very admirable. But do they mean that 5G is not only FCC's highest goal but its only new technology goal at present — perhaps other than NAB's pet project of ATSC 3.0? Is FCC interested in making new spectrum available "quickly and in sufficient amounts" for any other types of spectrum licensees - licensed or unlicensed? If 5G gets absolute priority at FCC on spectrum access, what about others needing spectrum that is not even in conflict with 5G spectrum? Are they entitled to consideration of "spectrum quickly and in sufficient amounts" if the request is noncontroversial? Is FCC spectrum policy productivity so low that only one new technology issue can be discussed at a time? People may forget that the unlicensed ISM bands made available in Docket 81-413 were widely opposed by incumbents, even the predecessor of CEA now CTA, and had almost no corporate support in the rulemaking is now the basis of BOTH Wi-Fi and Bluetooth. There was some participation of predecessors of today's cellular carriers in Docket 94-124 that created the 60 GHz band that in turn stimulated much of the R&D responsible for #HighBandSpectrum 5G and which is about to be expanded in Docket 14-177. But they were focusing on obscure details and seemed mainly interested in computer-to-computer communications, not anything even vaguely resembling 5G. Reagan had a point when he warned against governments "picking winners and losers": Enabling 5G in a timely way should not be at the expense of slowing down all other new radio technologies not in conflict due to bottlenecks in FCC deliberative processes. There has been no further action on any uses of spectrum above 95 GHz, let alone above 75 GHz! While Ofcom acknowledges the existence of WRC-19 Agenda Item 1.15 on new allocations in 275-450 GHz, can you find any mention of this on the FCC's voluminous website? So let's cheer the adoption of the 5G rules this week, but let's also ask whether FCC can now deal with other innovative technologies. Perhaps FCC can even explain how it will implement the provisions of § 7 of the Communications Act? Under the Chevron Doctrine FCC can do that and the courts must give deference, but FCC has given no public guidance on how it deals with new technology in the 30+ years since § 7 was enacted. All new technologies matter and are entitled to timely consideration. While FCC Goes Slow on Everyone Else's! In the above pair of tweets CTIA and NAB demand quick action on their favorite new technologies. NAB even has the chutzpah to invoke Section 7 of the Communications Act - a topic that FCC has tried careful to avoid for 30+ years. As we have written previously, there is even an opinion among FCBA members that trying to invoke Section 7 will result in additional delay! "For a pre-revenue company burning through investors’ cash, having to wait two or three years for the first sales dollar can be a deal-breaker. Some companies give up at the starting line. Others try to go forward, but not all of them make it. One of my clients, dependent on a single product, went out of business waiting for Commission action. Others, though they survive, worry that their product will be leapfrogged by competing technologies and be obsolete on release. Even if all goes well and the product eventually sells, it still has lost considerable time on the market, which nowadays is short enough anyway." I have elaborated on this issues in my paper at last year's TPRC on FCC's spectrum policy productivity. I concluded in the paper that the these long delays result from BOTH low funding of FCC spectrum policy staffing as well as an FCC organization structure which has not kept up with the explosion of spectrum technology options in parallel with the growing burdens of the APA as its case law expanded. So while I have no objection to innovation from NAB and CTIA members, even timely action on such innovation, isn't time to treat all innovation in a timely way? Should FCC use the Chevron Doctrine to share with the public what it believes the true meaning of Section 7 is and how it will deal with new technology? While corporate mergers have no such statutory mandate, FCC has clear guidance on how it will deal with them. Why not comparable public guidance on new technology also? reportable foreign ownership", should new technology consideration get comparable reforms? Why not streamline new technology also? There seems to be a consensus now that the unlicensed ISM bands created in 1985 by FCC with a combination of indifference and hostility from spectrum incumbents at the time has had great economic benefits, perhaps adding $140B/year of economic activity. Would today's FCC spend any decision making effort on such a proposal that not only wasn't backed by major trade associations, but was even opposed by several of them? Todays interest in "Upper Spectrum Band" 5G results from R&D that was greatly stimulated y the rules adopted in Docket 94-124 in the 60 GHz band. CTIA members did not even participate int hat rulemaking, no doubt because it seemed so esoteric at the time. But today they are reaping huge benefits from the R&D it stimulated. Is it wise for today's FCC to pursue only technology innovation initiatives backed by these major trade associations? Will FCC Punish NAB for Raising the §7 Issue in Its ATSC 3.0 Petition? Your blogger is not opposed to mergers or FCC merger reviews, just puzzled why merger reviews have a published timetable that is usually met while the provisions of § 7(b) are consistently ignored. But my unnamed lawyer friend does not represent NAB and its ATSC 3.0 copetitioners. Thus my surprise when I read this introductory section of NAB's ATSC 3.0 Petition for Rulemaking. Did NAB touch the "third rail" of FCC policy deliberations: § 7 ? Will FCC punish NAB for claiming Section 7 status? Actually various senior FCC staffers over the years have said this is not a problem because "everyone knows" that § 7 is just advisory and doesn't mean what its plain language says it means. Well apparently NAB and its copetitioners Association of Public Television Stations, AWARN Alliance, and Consumer Technology Association (former CEA) didn't know that! But if such knowledgeable groups as NAB and CTA were fooled by the apparent plain language of § 7 isn't it reasonable that an "outside the Beltway" startup might also believe what the law appears to state? Isn't time for FCC to take the Chevron decision precedent and state clearly what it really thinks § 7 means? Clearly a lot of people are confused here. If FCC decides after 30+ years that § 7 needs updating or clarification, it has an annual opportunity to ask Congress for such changes. To my knowledge it never has, preferring to ignore the issue. But acknowledging the § 7 issue in any FCC action on this petition would be very awkward for the § 7 denialists at FCC who redact the section from all paper copies of the Comm Act on 12th St., SW and use the FCC "great firewall" to keep the staff from finding it on WestLaw. Perhaps FCC insiders can convince NAB et al. to quietly amend their petition and bury this awkward issue? We have previously written about the FCC's "War on Millimeterwaves" - the inaction on moving the upper end of spectrum regulation above 95 GHz where it has been since 2003. Why invest in such new technology when you have no idea when FCC will allow market access? There are lots of other new technologies out there, some FCC regulated and others with different types of regulation, where either no government approvals are needed for new technology or where the needed approvals are both timely and transparent. Unless you are a masochist, why limit yourself to FCC-regulated technology and certainly why invest in a technology where there is "no light at the end of the tunnel". FCC's "blind eye" to the statutory requirements of Section 7 of the Communications Act to act in a timely way on "new technology" isn't helping either. So let's look at what our national economic competitors are doing. 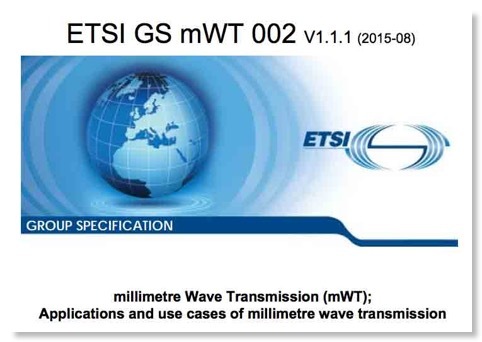 The new report shown at the top of this page is from ETSI, the European Telecommunications Standards Institute. While this might sound like ANSI, its US counterpart, ETSI is really very different in that Europe's telecom regulators are key members and CEPT, the organization of Europe's "FCC's" had a key role in starting it. Also note that in Europe national and EU regulations often permit the use of equipment meeting ETSI standards, e.g. GSM and DECT, and forbid alternative technologies such as those developed and sold in the US. A variety of wireline as well as wireless technologies are available to build transmission infrastructures and usually a mixed environment of physical media is adopted. While optical fibre is perceived as the physical medium with the top performance, there are techno-economic factors that make installation or even extension of optical fibre network not always the most appropriate solution. Hence, wireless technologies represent today a significant or even a dominant percentage of various operators' transmission networks to serve efficiently the increasing upward trend for providing data-hungry applications. While microwave solutions at traditional bands are more or less employed by all kinds of service providers (mobile, fixed), it becomes clear that moving to millimetre wave frequency bands, where underutilized massive bandwidth is available, will assist to deliver transmission services of equal to optical fibre performance avoiding the constraints that the latter might impose at particular scenarios. In this sense, millimetre wave frequency bands can be used in an immense number of current and future high-speed wireless transmission applications. While FCC Docket 14-177 deals with mobile applications above 24 GHz, the NOI seems to go out of its way to deal only with mobile uplinks and downlinks issues, even though now mobile systems will need lots of infrastructure and backbone, much of which is a target for mmWaves. In any case, while UK's Ofcom has been much faster than FCC on its counterpart of 14-177, the FCC next action is still a few months away. A portion of these research results were obtained through "R&D Program on Multi-tens Gigabit Wireless Communication Technology at Subterahertz Frequencies," a research program commissioned by Japan's Ministry of Internal Affairs and Communications as part of its "Research and Development Project for Expansion of Radio Spectrum Resources." Yes, Japan, Inc. is partially funding this R&D through the very same agency that is FCC's Japanese counterpart! Now do you think Fujitsu is losing sleep about regulatory delay when it is ready to market this technology? Such state capitalism is not the US system and should not be the US system. But in highly regulated areas like spectrum how can US entities compete against Europe, Inc. or Japan, Inc.? The answer is increasing transparency of spectra policy as well as its timeliness. Why is Qualcomm a US company? Qualcomm was incorporates in July 1985 a few months after the May 1985 Docket 81-413 decision that permitted general use of sported spectrum in 3 unlicensed bands. According to cofounder Viterbi this stimulated the capital formation needed to get things rolling and within 2 years Qualcomm got FCC approval for its CDMA cellular technology - unbelievably controversial at the time. At the end of the Declaration of Independence are the words "we mutually pledge to each other our Lives, our Fortunes, and our sacred Honor.” Qualcomm founders Viterbi and Jacobs may not have pledged their "lives" to get the company founded, but they certainly pledged their "fortunes" and "sacred honor" as 2 major leaders of communications theory and technology at the time. But they were able to get timely and transparent treatment from FCC at that time and a major company now results that contributes to US leadership in telecom technology. Let's face up to the reality of state capitalism in our economic competitors and see what can be done to "level the playing field". I think speed and transparency for new technology would be a good step. Who knows, maybe even FCC compliance with Section 7 of the Communications Act after these many years might be nice step? Should FCC Clean Up Its Spectrum Policy Backlog Before Reviewing Another Cable Merger? This weekend word broke on yet another cable merger. We have no view on the merits of this merger, or for that matter on the merits of most mergers. But such mergers compete for scarce attention at FCC as it presently operates and detracts from its other duties such as Title III technical policy issues other than more spectrum below 5 GHz for the cellular industry. Even though the merger has not even been formally filed, Chmn. Wheeler has already issued today a public statement before 8:45 AM promising to review it. At least he did not promise quick action. NOI on Mobile Service above 24 GHz (10/17/14) - Note that while not much time has elapsed, Ofcom, FCC’s UK counterpart has already issued two documents on this issue as well as a consultant’s findings since the issuance of this NOI! This is cutting edge technology moving quickly with government funding in many other countries, but uncertainties with FCC’s position are deterring private capital formation in USA in this technology. (While we can’t attach a date to it, the FCC’s continuing silence on all matter associated with spectrum for UAV’s/drones just drones on as the general issue of civil drones attracts ever growing attention. While there appears to be a dialogue between FAA and FCC on the issue, there is no statement on where drones may or may not use spectrum or any proposals. Perhaps FCC has a valid viewpoint with its secret interpretation of the Communications Act that Section 5(c) trumps the Section 7 requirement on timely action for new technology. But if this is so, perhaps the Commission should tell Congress and the public that Section 7’s promise is now moot and you should expect dilatory action on everything except corporate mergers and more spectrum for cellular carriers? So a modest proposal: no action on the new merger request until FCC makes real progress on cleaning up its Title III backlog. We could point out that while FCC has made a promise on timeliness on corporate mergers, the statutory promise of Section 7 would seem to take precedence unless FCC wants to put its cards on the table and publish its secret ruling about why Section 5(c) makes that moot. 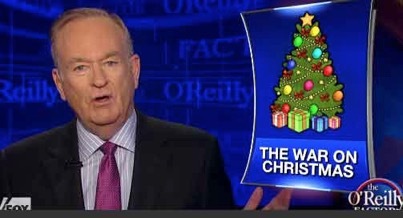 Today, in time for the holiday season, The Washington Post reports that Bill O’Reilly is back to his ranting on the “war on Christmas”. Something that is not obvious as holiday decorations are going up everywhere and holiday music is becoming ubiquitous. The failure of the RF safety NPRM, Docket 13-84, to propose quantitative safety standards above 100 GHz even though it is based on an IEEE standard that goes to 300 GHz. While one might argue that the NOI in Docket 14-177 is a major change in the “war on millimeter waves”, a careful reading shows that the authors tried very hard to limit the coverage to both 24-86 GHz only as well as to mobile only, although there is passing mention of cellular backhaul. So while the “war on Christmas” exists only in the minds of a few people at Fox News, the “war on millimeter waves is quite real at FCC! Chmn. Wheeler, Tear Down This 95 GHz Wall! On October 17, FCC will consider a millimeter wave (mmW) NOI that will be the first major mmW deliberation there in more than a decade. mmW is sometimes called the “spectrum frontier” and is the upper end of radio spectrum that is enabled by breakthrough technology. Indeed, a major motivation for the NOI is that the work of Ted Rappaport of NYU and others has shown that mobile use above 24 GHz is practical. Due to military R&D, US firms are the leaders in basic mmW technology, but commercial mmW applications lag in part due to outdated FCC policies and the general procedure of FCC to wait for petitions its in inbox. Does FCC really think that it is easy to raise capital for moving technology from IEEE journals to the marketplace win part of the process is getting FCC to act on a rulemaking to permit the new technology? As part of my teaching last year, I asked 3 prominent communications attorneys in DC how long they thought it would take for FCC to act on approving a new technology using the verging spectrum above 95 GHz. The answers were all in the 3-5 year range! 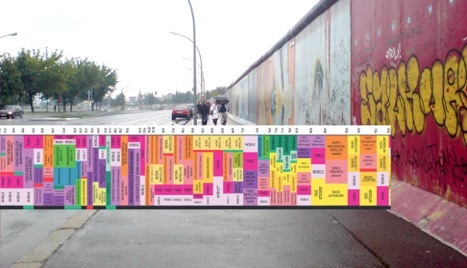 Now FCC has an analogous wall in spectrum policy at 95 GHz, depicted at the top of this post. While FCC (and ITU) has spectrum allocation up to 275 GHz, it has no unlicensed or licensed service rules above 95 GHz, a point reached in October 2003. At left is a Japanese 125 GHz system used at the 2008 Beijing Olympics in quantity for moving view from stadiums to the broadcast center. Use of similar technology is not permitted under current FCC Rules! So is it surprising that despite US leadership in millimeter wave components no such systems are being made in USA? Make clear in the NOI that the wall at 95 GHz is not intentional and is not a fundamental barrier to any proposed mmW uses. Last week Sen. Deb Fischer introduced S. 2817 to address the longstanding FCC avoidance of the provisions of Section 7 of the Communications Act, a recurring topic in this blog. It basically puts the burden of proof on those who oppose new technology and sets a schedule for deliberations on new technology, FCC has consistently ignored both provisions. Now in a well functioning agency this congressional tinkering wouldn’t be needed. But there is something in the FCC’s hidebound culture under both parties that has resulted in a 30 year consistent avoidance of Section 7. Let’s not be naive: a junior senator from the minority party in the Senate without cosponsors is not going to change FCC’s long habit of ignoring this provision of its statute. But maybe she will get more attention than an obscure spectrum blogger! Maybe she can get FCC to explain why it continues to ignore this part of its statute? Section 7 is not a perfect piece of legislation as presently written. But if FCC doesn’t like it, why hasn’t it proposed any changes in 30 years? Your blogger filed comments yesterday on the House Energy & Commerce Committee’s spectrum white paper. The comments focused on FCC and NTIA reforms that might be accomplished with little or no new legislation - a likely necessity given our dysfunctional Congress now. They explained that not only is FCC slow in authorizing even noncontroversial new technology, it is slow in dealing with interference problems of major industries that need rulemaking action to resolve. They raise the hypothesis that FCC implicitly or explicitly tells even powerful regulatees that its spectrum policy resources are limited so they have to choose between getting new spectrum or getting help cleaning up existing spectrum. Shouldn’t FCC be able to do both? But FCC probably can’t do both as long as it has only one job stream focused on the 8th Floor. Under Section 5 of the Communications Act FCC has great power to delegate authority to employees or boards of employees - as it did with the former Review Board. The comments also raise the issue of Section 7 of the Communications Act and the 30 yeas that FCC has ignored it. Your blogger filed comments today on the FCC’s 2/14/14 Process Reform Report, designated now as Docket 14-25. The comments congratulate FCC on its thorough report to improve its procedures and advocated some clarifications and extensions of the recommendations. The comments strongly supported the new promise to act in a timely way on petitions but pointed out that this is already a longstanding, but generally ignored, requirement of §1.403. Timely disposition of petitions is key to capital formation for wireless systems that need nonroutine approvals. The report recommended grouping questions at the end of NPRMs. The comments suggested the key issues were to group the questions, limit the number to a manageable amount, and actually number them. The report gave examples from Industry Canada and Ofcom “consultations” where a modest number of questions were grouped and numbered. The report suggested “continue to engage with other agencies to develop best practices for rulemaking”. The comments endorsed this concepts and suggested it be broadened to include foreign telecom regulators like the above mentioned Ofcom and IC as well as innovative entities like the North Dakota Supreme Court that issues its opinions in hypertext. It pointed out that in the ex parte rulemaking FCC limited its comparison with other agencies to FTC, and that agencies like EPA, NRC, and FAA might be closer to at least FCC’s technical jurisdiction practice. The report urged “better tracking of complaint data”. Following previous discussion here of emerging interference, the comments discussed several cases of large delays in handling such issues and suggester more reporting and public interaction on new interference mechanisms to determine which need timely regulatory actions and which can be handled with benign neglect. On the recommendation to “increase technical inputs early in rulemaking”, the comments pointed out the previous IEEE-USA recommendations on supplementing the TAC with a paid advisory committee without conflicts of interest, as EPA and NRC have, that can interact on pending policy issues in a timely way - complementing the functions of the TAC. IEEE-USA had recommended that this be a joint FCC/NTIA committee that could serve both agencies and have security clearances to handle classified issues such as GPS interference and susceptibility. It also recommended that both FCC and NTIA budget for support from National Academy of Science’s National Research Council (NAS/NRC), Federally Funded Research and Development Centers (FFRDCs)e.g. MITRE Corp., Rand Corp., and Aerospace Corp., in support of technical policy issues that the in-house staff do not have experience with. This would follow the practices of NRC and EPA with new technical issues. Free the Spectrum >95 GHz! Your blogger’s comments on Docket 13-259, the IEEE-USA petition to FCC asking that technology greater than 95 GHz be declared “new technology” subject to timely consideration under Section 7 of the Communications Act are now posted on the FCC site. As of this writing, also posted as early filings are comments from IEEE 802 and from David Britz, a former research in the area for AT&T. If you are interested in facilitating the introduction of commercial technology above 95 GHz, presently forbidden by law in the US and facing multiyear case-by-case deliberations, you may wish to consider telling FCC whether you agree with the points made in the above comments. Feel free to disagree on issues. Heck, feel free to say that use of spectrum above 95 GHz is not even in the “public interest” -- if that is what you believe. Note to those interested in passive uses such as radio astronomy and remote sensing: bands for such uses are already allocated and protected and are not under consideration here for nonpassive use. The issue here is actual access to bands that already have fixed and mobile allocations but have no FCC service rules. In a Halloween present to your blogger, FCC released the above PN asking for comment on the previously discussed IEEE-USA petition to expedite deliberations on technology >95 GHz in accordance with the terms of Section 7 of the Communications Act. In an apparent clerical error they omitted either an RM number or a Docket number creating an ambiguity on how to actually file comments. A knowledgeable source says this happens sometimes and is normally corrected in a day or 2. We look forward to seeing your comments. FCC issued an erratum on November 1 and now this issue is docketed as ET Doc. 13-259. By my calculation, comments are due December 2, 2013. Frequencies Above 95 GHz: Why Not Declare that Section 7 Presumably Applies in Order to Stimulate US Innovation and Economic Growth? 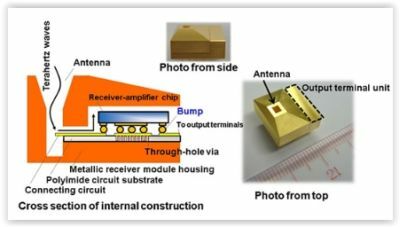 Researchers from A*STAR’s Institute of Microelectronics (IME) have developed the first compact high performance silicon-based cavity-backed slot (CBS) antenna that operates at 135 GHz. The antenna demonstrated 30 times stronger signal transmission over on-chip antennas at 135 GHz. 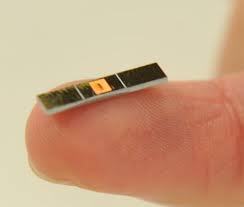 At just 1.6mm x 1.2mm, approximately the size of a sesame seed, it is the smallest silicon-based CBS antenna reported to date for ready integration with active circuits. IME’s innovation will help realise a wireless communication system with very small form factor and almost two-thirds cheaper than a conventional CBS antenna. The antenna, in combination with other millimetre-wave building blocks, can support wireless speed of 20 Gbps – more than 200 times faster than present day Wi-Fi, to allow ultra fast point-to-point access to rich media content, relevant to online learning and entertainment. Some of the factors that contribute to this uncertainty fall outside of the FCC’s jurisdiction, such as taxes, health care, and financial regulation. But concerns are expressed regarding the FCC in two general ways. The first involves inaction, or delayed action, by the Commission. At first blush, it may seem odd for those in the private sector to be complaining that its regulator is moving too slowly. Entrepreneurs are usually happy to be left alone, free to innovate without government intervention. But the communications industry often doesn’t fit that stereotype given the FCC’s pervasive role. If a company wants to market a new mobile device, it needs the FCC’s approval. If a company wants to purchase another firm’s spectrum licenses, it needs the FCC’s approval. If a company wants to provide a new wireless service, it needs the FCC’s approval. And if a company finds that there isn’t any spectrum available and proposes the reallocation of inefficiently used spectrum, it needs the FCC’s approval. Any person or party (other than the Commission) who opposes a new technology or service proposed to be permitted under this chapter shall have the burden to demonstrate that such proposal is inconsistent with the public interest. would indicate that NTIA (and IRAC) is a “person or party other than the Commission” and thus has “burden to demonstrate that such proposal is inconsistent with the public interest”. Why don’t FCC and NTIA jointly declare that any proposed private sector use of frequencies greater than 95 GHz will be presumptively treated as a “new technology or service” and that FCC and NTIA will both strive to meet the 1 year deadline of section 7(b) and the burden tests of Section 7(a)? Further, why doesn’t FCC use the same “shot clock” for tracking such actions as it already uses for corporate mergers where there is no statutory deadline? Benefits? Stimulating innovation and economic growth and bringing FCC into compliance with this neglected section of the Act. IEEE-USA is the policy arm of the Institute of Electrical and Electronics Engineers. It advances the public good and promotes the careers and public policy interests of 210,000 engineering, computing and technology professionals who are U.S. members of IEEE and this week sent a letter to FCC on the implementation of Section 7 of the Communications Act of 1934. Since the passage of Section 7 in 1983 in response to the Commission’s endless delay in resolving issues about an innovative narrowband land mobile technology, it has carefully tried to avoid ever mentioning the existence of this provision in both decisions and publications. Section 7 is not a perfect piece of legislation. It has an explicit deadline, yet doesn’t state exactly what has to be done within that period. The IEEE-USA letter points out that the Commission does have explicit guidelines for review of pending mergers and forbearance petitions pursuant to Section 10(c) of the Act that both give nominal time schedules. However, there is no analogous guidance on Section 7 issues. 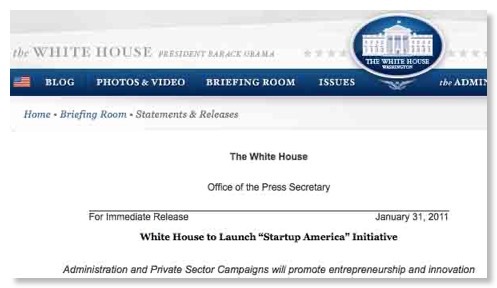 We believe that FCC might wish to emulate the White House’s recent Startup America initiative “to dramatically increase the prevalence and success of America’s entrepreneurs.” Under part of this program the Patent and Trademark Office (PTO) will offer an Enhanced Examination Timing Control Initiative “to give innovators more control over the application processing and support a more efficient market for innovation.” For wireless innovations subject to non- routine FCC approvals, FCC deliberations determine if and when diffusion, and thus positive cash flow, is possible. In contrast, the improved and more timely PTO decisions only scope the level of intellectual property protection were these cash flows possible. We urge the FCC to examine this PTO initiative and consider offering to entrepreneurs parallel programs to resolve policy deliberations on a faster, more predictable basis. FCC has a poor track record in responding to this type of suggestion. Let’s hope they are more attentive this time. If others with like views tell Chmn. Genachowski their views, more may happen. Maybe a Good Time for FCC to "Rediscover" Section 7 and Start Complying with it? The Department of Commerce will expand the i6 Challenge to help foster the commercialization of clean technologies, and are finalizing a plan to allow entrepreneurs to request faster review of their patents, an initiative that should lower patent pendency times overall and speed the deployment of new ideas to the marketplace. Maybe FCC could also have an “Enhanced Examination Timing Control Initiative” to give technical innovators a chance to get rulings on their technology before their working capital exsanguinates? Patents are nice in that they make business plans more profitable, but for many wireless technologies FCC controls something even more critical for entrepreneurs: market access and cash flow. Section 7 is not a perfect piece of legislation. FCC has never implemented rules for administering it. FCC could ask Congress to amend it or even repeal it rather than just ignoring it. If anything, at present it is false hope for entrepreneurs and may discourage investment in entrepreneurial firms from VCs who get a cynical view of FCC’s treatment of startups in recent years. But why don’t FCC and NTIA get on the President’s bandwagon and make life easier for wireless startups by promising decisions on some plausible schedule and real use of objective scientific information by NTIA in its presentations to FCC on shared spectrum - limited in public disclosure only by the need to protect properly classified information.